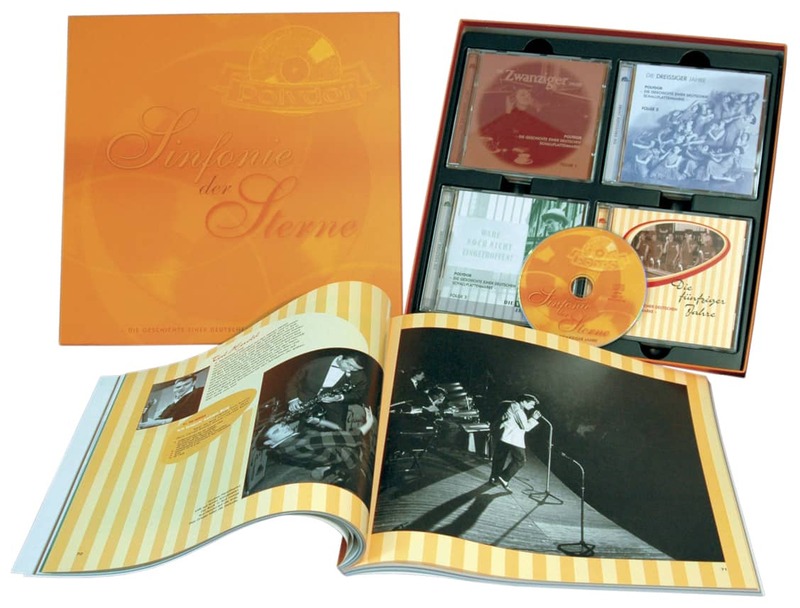 1-CD Digipac (4-plated) with 19-page booklet, 20 tracks, playing time approx. 59 mns. 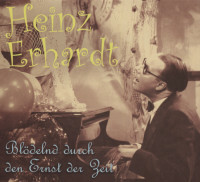 Masterpieces from 1950-54, Heinz Erhardt as singer and pianist and in duet with Ren Mann with the box office glasses gladly gave the naive fool. Millions of people still laugh when they see him in old film comedies or hear his songs: small, inconspicuous works of art with cheerful nonsense. 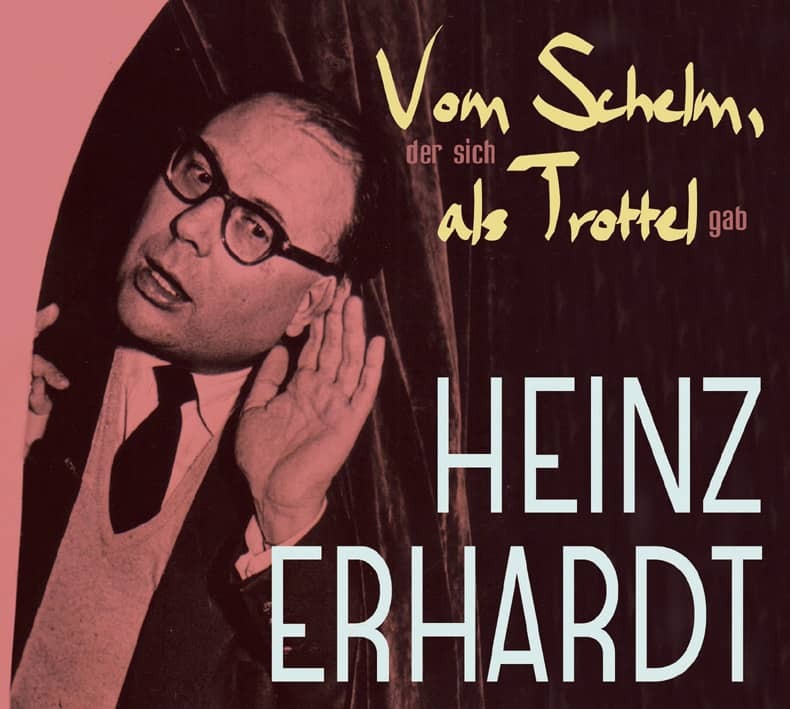 Between 1950-54, the singer, conferencier, pianist and composer laid the foundation for his impressive career: he left the cabaret area, performed as an all-round entertainer at galas and'colourful evenings' in halls and large halls. 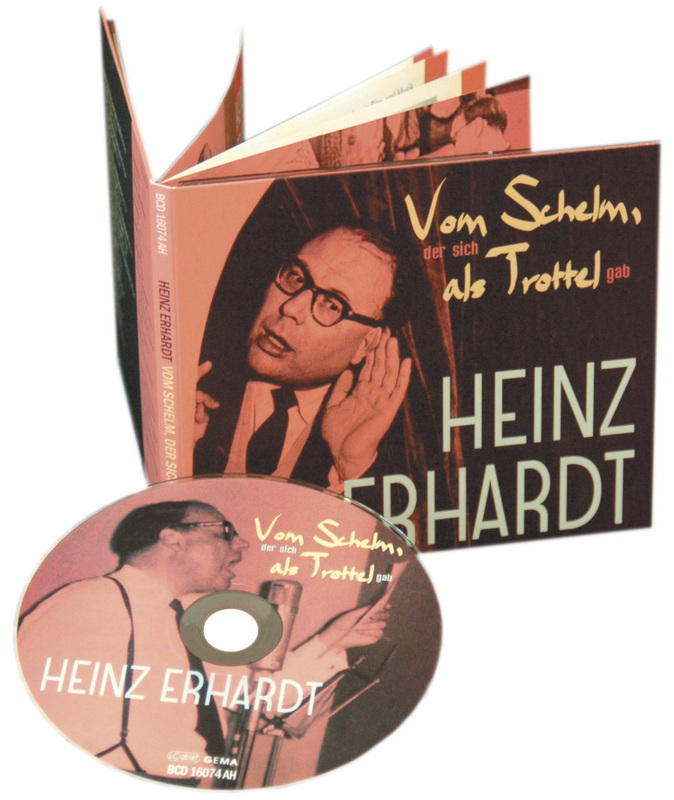 Radio, records, film and television fought over the subtle humorist, his rhyming inconsistencies with hidden, quiet philosophy. 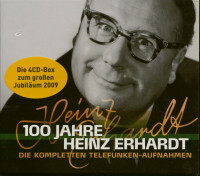 Erhardt classics were Pappis Lullaby, Agamemnon, Noch'n Abschchiedslied, the Skat Polka and Das Wackellied. 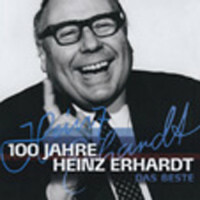 Heinz Erhardt * February 20, 1909 - July 5, 1979 Erhardt wants to become a pianist and is studying music at the Leipzig Conservatory. 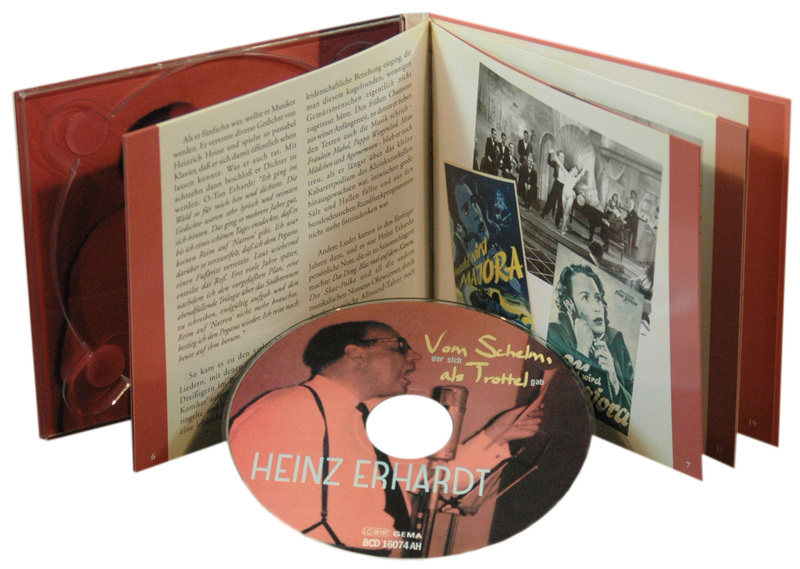 By chance he gets to the comedians' cabaret in Berlin (KadeKo) and gains his first experiences in cabaret and stage. 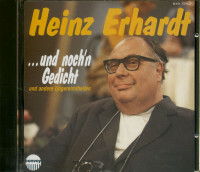 After the war he settled in Hamburg and worked there for the NDR. 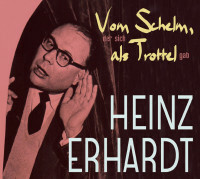 From 1950 he devoted himself mainly to film ("Witwer mit fünf Daughters", "So ein Millionär hat's schwer" and others). 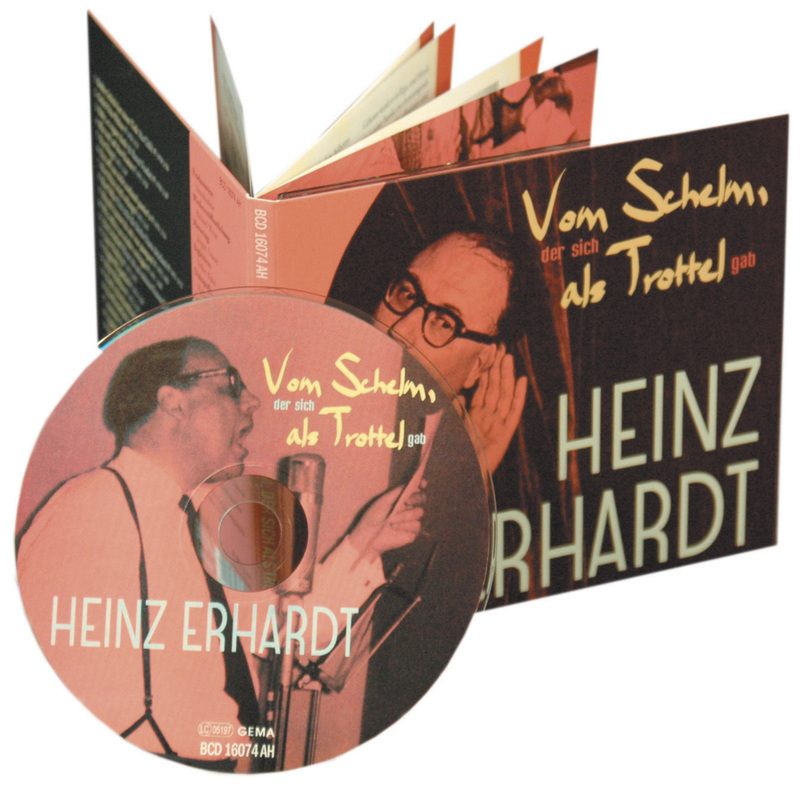 On Polydor he sings in 1949 "Bobby Schick hat'nen Tick", "Baby, es raining doch" (1950). Customer evaluation for "Vom Schelm, der sich als Trottel gab"
09 Mensch, kannst du mir was pumpen?